Puerto Rican women have a look of an extraordinary nature. During the whole history Puerto Rico was rendered with a huge influence from many different cultures. The greatest influence exerted Spain, other countries from the Europe, numerous world regions. Subsequently, they came and formed together unique population in local places. In the present days, everyone can see that the residents of this wonderfull island enjoy and are proud of the rich and diverse cultural level. All of people here also they are an important and excellent part of it. In the 18-th century, Spanish settlers were taken wives women from native american indian tribes, so a mix of nationalities has caused considerable changes in the population. A little bit later, there settled immigrants from France, China, Germany and also African slaves. They all become a new part of the country's nation. But still most of the girls here are very reminiscent of Spanish women. They are bright and textured girls with brown or dark brown hair always seems thick and iridescent. Attractive dark skin, bright eyes and sparkling dark hair with gold shine, make them goddesses. Speaking about the peculiarities of the national character of Puerto Rican women, in except to general musicianship there always are mentioned two striking features. Firstly, it is the great hospitality with which girls meet here absolutely all. Females have sincere interest for other cultures, they are open, tolerant attitude towards different traditions. Secondly, Puerto Rican women are able maximum to enjoy life and their state of spirit is contagious. Women do not hurry up, they honor the traditions and connections of the families, love eating good food and have fun. Puerto Rico has a fairly high standard of living compared to most other Caribbean islands, but it is lower than even the poorest states. The rate of unemployment here is high, so a lot of females are trying to get a job in the USA and the rest are active in different ways of temporary earnings. Puerto Rican women have really complicated lives, they are employed as domestic workers, laundresses, householders. 22. Alanna Ubach (3 October 1975) - American actress who has Puerto Rican roots for his father. 21. Monica Pastrana(6 September 1989) - Puerto Rican beauty queen and TV presenter. 20. Naya Rivera(12 January 1987) - American actress and singer. She is half Puerto Rican, quarter - has German roots and a quarter - African-American. 19. Joan Smalls(11 July 1988) - Puerto Rican photomodel. 18. Cynthia Olavarria (28 January 1985) - Puerto Rican actress, TV presenter, model and "Miss Puerto Rico Universe 2005". 17. LaLa Vazquez (25 June 1979) - American television host, actress, DJ, VJ MTV. She has Puerto Rican descent. 16. Anne Marie Kortright(14 March 1982) - Puerto Rican photomodel. 15. Mariana Paola Vicente (8 January 1989) - Puerto Rican top model and "Miss Universe Puerto Rico 2010". 14. Viviana Ortiz Pastrana (12 September 1986) - Puerto Rican beauty queen - "Miss Universe Puerto Rico 2011". 13. Amanda Vilanova (30 December 1991) - Puerto Rican beauty queen. She has titles: "Miss Latin America Puerto Rico 2010" and "Miss World Puerto Rico 2011". 12. Karla Monroig(5 March 1979) - Puerto Rican actress, model and TV host. 11. Jackie Guerrido(24 September 1972) - Puerto Rican journalist and presenter of the weather forecast. She works also on the radio. 10. Jaslene Gonzalez (29 May 1986) - Puerto Rican-American actress, model and television presenter. 9. Joyce Giraud(4 April 1975) - Puerto Rican actress and model, Miss Mundo de Puerto Rico 1994 and Miss Puerto Rico Universe 1998. 8. Victoria Justice(19 February 1993) - American actress, singer and dancer. She is a Puerto Rican on his mother. 7. Roselyn Sanchez (2 April 1973) - American singer, model and actress of Puerto Rican descent. 6. Zuleyka Rivera (3 October 1987) - Puerto Rican beauty queen and actress, Miss Puerto Rico Universe 2006 and Miss Universe 2006. 5. Denise Quinones (9 September 1980) - Puerto Rican actress and "Miss Universe 2001". 4. 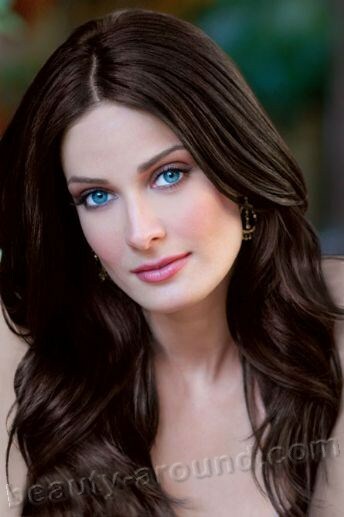 Dayanara Torres Delgado (28 October 1974) - Puerto Rican actress, model and winner "Miss Universe 1993". 3. Ingrid Rivera (8 October 1983) - Puerto Rican beauty queen, winner "Miss Puerto Rico 2008". 2. Miriam "Mimi" Pabon (3 January 1985) - Puerto Rican beauty queen, She has title "Miss Puerto Rico America 2009". 1. Jennifer Lopez (24 July 1969) - American actress, singer, dancer, fashion designer, producer. She wa born in a family of Puerto Ricans.